1. Contest begins April 14th 2012, and ends at 12 MIDNIGHT PST on MAY 14th 2012! All entries will be posted to Facebook Album after the close of the contest and the 3 winners will be announced on MAY 19th 2012. 2. All entires must be 100% original artwork created by the entering artist. Copyrighted photographs or exsisting artwork will not be considered. 5. All entires must be submitted to Leilani@LeilaniJoy.com. Title the email, "Collaboration Contest." 6. Please remember that the final illustration will be 11x14" so please plan your composistion accordingly. 7. 1st, 2nd, 3rd: ALL WIN A 11X14" GICLEE PRINT OF THE COLLABORTIVE ILLUSTRATION WITH LEILANI JOY. 8. Copyrights: All winning illustrations will be used for the purpose of the contest, ONLY. All winners selected for the collabortion WILL NOT gain reproduction rights to the final illustrations and may not sell prints or any other media featuring the collaborative artwork. 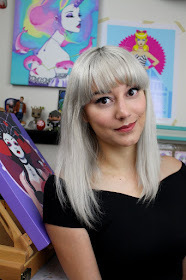 Neither will Winning artwork will not be sold or reproduced by the artist, Leilani Joy. Winners will recieve an image file for use on Facebook etc, however credit must be given to both original artist and Leilani Joy. All artwork not chosen will remain the copyrighted property of the original artist. 10. International fans are encouraged and welcome to participate! 11. Most importantly HAVE FUN and be CREATIVE! 1. Does my entry have to be in Leilani Joy's Style? Your entry DOES NOT have to emulate my style of work. In fact I encourage you to maintain your individuality and uniqueness! 2. Can I enter a piece I've already completed? Please don't enter pre-existing work. Keep in mind this is meant to be a collaboration, so there should be a portion for me to complete, add to etc. 3. Can I include an explanation of my art piece? Yes! Feel free to include an explanation of your piece and what you had in mind for me to add. What is 250-300 DPI and how do I make sure it's at that number? Nope! As it says above, contest submissions close May 14th and Midnight PST! 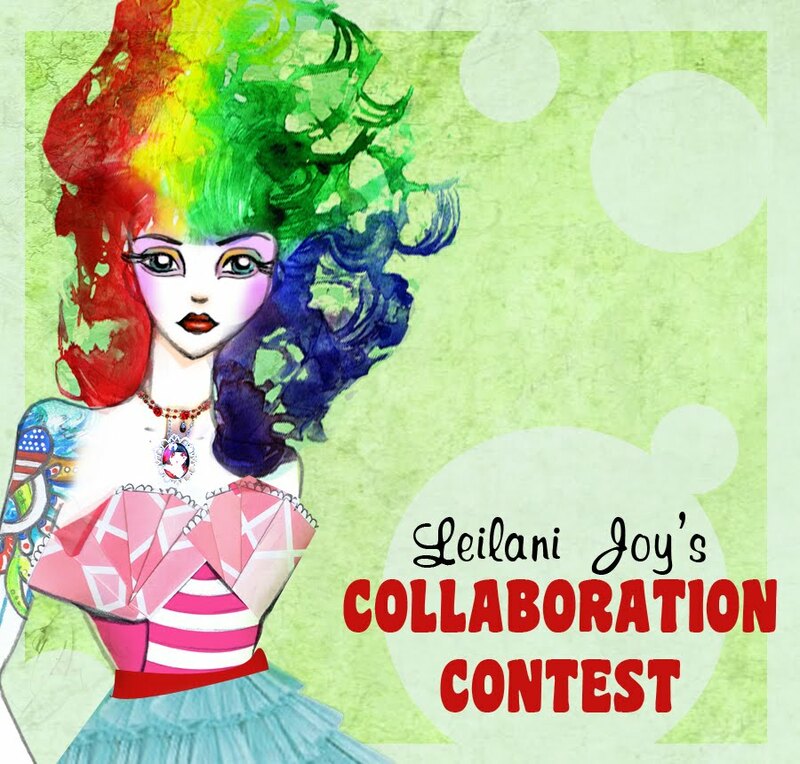 It's a great opportunity to be in the competition with Leilani Joy. It's really exciting.